Cast your vote for the Best Pizza of 2019! Ocean City, Maryland, situated between the Atlantic Ocean and the Isle of Wight Bay on Maryland’s Eastern Shore, is the premier resort town of the East Coast. An ever-popular family vacation spot, OC offers miles of sandy beach lined by a wooden boardwalk with shops, restaurants, hotels, and amusements, and breathtaking views at all times of the year. An Ocean City vacation is synonymous with “family fun.” The town of Ocean City is best known for hosting special events like Senior Week and the White Marlin Open; amusements including Jolly Roger, Trimpers Rides, and an abundance of water parks; live entertainment and nightlife from comedy clubs to late-night rounds of mini golf; and iconic Ocean City restaurants and snacks from Fisher’s Popcorn to Thrasher’s famous french fries. Of course, that’s only the tip of the iceberg. You’ll want to explore everything the region has to offer, all the way from Ocean City’s Inlet and fishing pier to West Ocean City, and all the way to Berlin, Md. We can help you plan your trip… But be warned, once you visit Ocean City, you may never want to leave! OceanCity.com is the most comprehensive Ocean City vacation guide, where we feature new restaurants, hotels, and things to do in OCMD every day. Plan your trip for spring now. We’re always happy to help. If you don’t know where to start, try following these four steps that make planning an Ocean City vacation exceptionally easy. Find general Ocean City information here. First, choose a place to stay from our list of all the hotels in Ocean City. Just conduct a brief search, which can be customized with your budget and preferred location and amenities. We have motels and vacation rentals for you to explore, too. Next, take a look at our restaurant listings to get a sense of the culinary diversity in town. There’s truly something to please every palate (just remember, we are known for our crabs and seafood…). Don’t forget to plot your list of things to do. From watersports and amusement parks in the summer to holiday events in the winter, there’s always something for all members of the family, in any weather. Finally, now that your entire trip is just about planned, the vacation countdown is on! Take a look at some of the most picturesque webcam views in town, and browse Ocean City articles while you wait. Have a look at our store for discounted gift cards and Ocean City deals, and we’ll be seeing you soon. Whether your getaway is planned to the minute or you prefer to take it day-by-day, you’re bound to have an excellent time in Ocean City. Don’t be sad when it’s over, either. Instead, relive your trip by voting in The Best of Ocean City® competition to honor your favorite restaurants, bars, and activities. 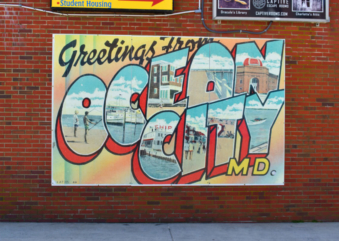 Also, feel free to submit us your best Ocean City photos — we might just post them on our site. Amenities, attractions, and location. 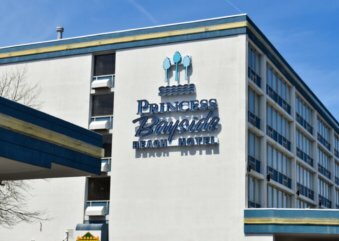 These are some of the major factors to consider when choosing accommodations for your Ocean City, Maryland vacation. An awesome view doesn’t hurt either. As you set sail for one of Ocean City’s finest oceanfront hotels, the vacation you deserve awaits you! On the corner of 14th street and the boardwalk, we offer you newly renovated rooms and amenities. 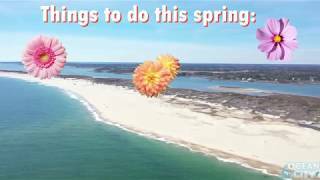 Put a little “spring” in your step and spend a relaxing weekend in Ocean City this season. The weather’s warming up, but the beach and Boardwalk are still pretty quiet! 1. Watch floats go by, catch gold-wrapped chocolates and wear layers of green beaded necklaces at Ocean City’s famous St. Patrick’s Day Parade. 2. Enjoy a getaway weekend in one of the great hotels at shoulder-season rates. 3. Treat yourself to a fruity drink or a delicious craft brew at one of Ocean City’s iconic taverns. 4. Enjoy the peace and tranquility of a nearly-empty beach and Boardwalk. The summertime crowds haven’t arrived just yet. 5. Pick up guides and brochures at the Convention Center & Visitors Bureau, then explore the town’s history at the Ocean City Life Saving Station Museum. 6. Treat yourself to a night out at one of our dozens of restaurants. 7. Catch an early ocean sunrise, then later watch the sunset over the bay. 8. Visit Assateague Island and check out the horses. You can camp on the beach all year long. 9. Visit the more than 20 area breweries, including Ocean City’s own Fin City and Backshore Brewing. 10. Finally, explore the Shore – Worcester County is Maryland’s vacation jewel with attractions from Pocomoke to Berlin. If you’re looking for even more things to do, we’ve got 100 ideas that are completely family-friendly and free right here. See more free things to do this spring. Located on the northern end of the boardwalk, the Dunes Manor Hotel is a unique place to stay modeled after the grand style of Ocean Cities Victorian Era.